A. Introduction to the Theory and Practice of Academic Planning. B. Institutional Framework for Academic Planning. 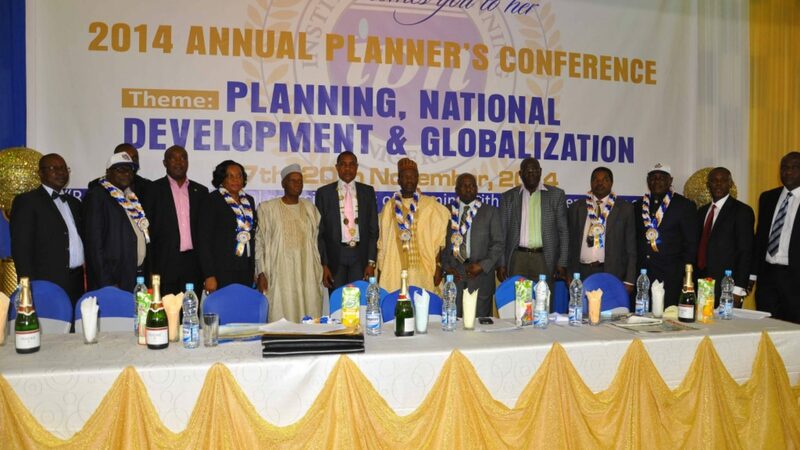 C. Strategic Planning for Academic Planners. D. Quality Assurance in Higher Education. E. Forecasting Models in Academic Planning. F. Key Issues in Academic Planning. 9TH – 10TH FEB. 2017. 06TH – 07TH APRIL 2017. 1ST – 2ND JUNE, 2017. IPN SECRETARIAT, LAGOS. A. Financial Accounting for Planning. B. Cost and Management Accounting in Planning. C. Budgeting & Control Strategies in Planning. D. Quality & Compliance Assurance Planning. E. Public Finance Management & Stewardship Planning. F. Corporate Resources Governance Planning. 16TH – 17TH, FEB. 2017. 11TH – 12TH MAY, 2017. IPN SECRETARIAT, LAGOS. A. Business Management Development Strategies. B. Risk & Change Management Planning. C. International Business Management Strategies. D. e. Business Management Strategies. E. Business Dynamics & Strategic Management. F. Capacity Building, Sustainability & Productivity Planning. 16TH – 17TH FEB. 2017. A. Electronic Commerce/ e-Business Laws. B. Humanitarian Rights Promotion/Protection Laws. C. Criminal &Civil Justice System Reforms Planning. D. Crime Control & Security Planning. E. Peace Promotion &Conflict Resolution Planning. F. Alternative Dispute Resolution Planning. 23RD – 24TH FEB. 2017. 16TH – 17TH MARCH, 2017. 8TH – 9TH JUNE, 2017. A. Crime and Hazard Monitoring, Prevention and Control Planning. F. High Risk VIP Security Protocols Planning. A. Micro, Small, Medium and Large Enterprises Development Planning. B. Social, Political and Economic Change Planning. C. Global Economic Development and National Strategy. D. Wealth Management and Poverty Alleviation Planning. E. Banking, Securities and Capital Market Development Planning. F. Economic and National Development Planning. 9TH – 10TH MARCH, 2017. 18TH – 19TH MAY, 2017. IPN SECRETARIAT, LAGOS. A. Materials Handling and Distribution Logistics Planning. B. Large Scale Systems Planning and Design Analysis. C. Production Economics and Managerial Accounting. D. Industrial Resources and Production Planning. E. Systems Synthesis and Integrated Systems Automation (Digital/Robotics) Planning. F. Production Process Engineering and Management Planning. A. Public Policy Development and Implementation Planning. B. Public Finance Mobilization and Cost Controls Planning. C. Development Administration and Project Management Planning. D. Cost/Benefit Analysis in Project Planning. E. Development Challenges and Strategies Planning. F. Power and Resources Governance and Stewardship Planning. 18TH – 19TH MAY, 2017. A. Engineering and Technology Impact Development Planning. B. Design Dynamics and Mega Structures Planning. C. Engineering Applications and Modelling In Progress Operations. D. Engineering Solutions in Sectors Development Planning. E. Housing and Estate Development Planning. G. Electrical and Electronics Engineering Development Planning. A. Clean Energy Resource Planning. B. Energy Politics and Economic Planning. C. Petroleum: Local Input Resources Integration Planning. D. Integrated Energy Resources Planning. E. Petroleum and Gas Technology Development Planning. A. Transport and Supply Logistics Planning. B. Commodities Trading and Shipping Operations Planning. C. Materials Transportation Management Planning (Handling, Warehousing and Controls). D. Transport Management Planning (Air, Land Road, Rail, Subway and Sea). E. Passenger Traffic Management Planning (Service Delivery and Safety). F. Cargoes Traffic Management Planning (Security and Care). 6TH – 7TH APRIL, 2017. 8TH – 9TH JUNE, 2017. IPN SECRETARIAT, LAGOS. A. Media Information and Communication Network Planning. B. Strategic Marketing and Consumer Protection Planning. C. Multi-media Journalism Planning (Print, Radio, Television, Internet). D. Marketing Communication Planning (Advertising). E. Marketing Communication Planning (Public Relations). F. Marketing Communication Planning (Sales Promotion). 13TH – 14TH APRIL, 2017. A. Hospitality & Hotel Industry Planning. C. Events, Leisure & Entertainment Planning. D. Arts Development Policy Planning. E. Tourism & Travels Infrastructures Development Planning. A. Education and Training Needs Identification Planning. B. Pedagogy and Learning Environment Planning. C. Curriculum and Competence Development Planning. D. Education and Training for Special Challenged Persons. E. Education and Occupational Planning Integration. A. Ecosystem & Habitat Preservation Planning. B. Urban & Rural Infrastructures Development Planning. C. Environmental Challenges &Sustainability Planning. D. Environmental Impact Assessment & Remediation Planning. Global Environmental Challenge Management Planning. E. Emergency Challenge Management Planning. 20TH – 21ST APRIL, 2017. B. Universal Health Insurance Scheme Planning. C. Endemic Diseases Eradication Planning. D. Health Care Delivery and Community Health Planning. E. Health Services and Supplies Management Planning. F. Health Care Counselling Planning. 23RD – 24TH MARCH, 2017. SANNI ABACHA COMPLEX ABUJA.